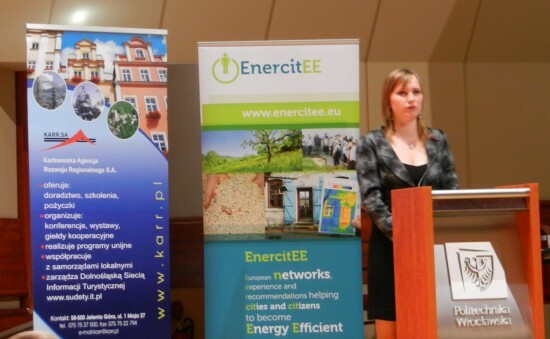 The exchange of students’ experiences between regions is the central focus of PraTLA’s final stage » EnercitEE Blog - EnercitEE is a European project aiming at enhancing the understanding of Energy Efficiency among different stakeholders and improving the respective local and regional policies. PraTLA is a sub-project on practical training of students and local energy experts in local authorities. It helps to open doors: students get a first insight into local administrational structures and local authorities learn to better tap certain potential and setting up of strategies using students as energy experts for these tasks. The Sub-Project will end at 31st October 2012. Since the beginning of 2011 until now, approximately 58 trainings in 4 different countries have been carried out or are currently completing in municipal institutions. For Lower Silesia, this time period was the core activity part of the project since all practical trainings were carried out in a period of three months. In this region there are only very few local energy strategies available. So, the students focused on helping the local authorities to set up an initial strategy on energy efficiency measures identifying some key areas. Seven papers on local strategies have been prepared under PraTLA in the region. In Haute-Savoie, smaller groups of students have assessed local EE activities in some smaller municipalities in the region and identified first improvement potential in this area which will be in some cases anchored in concrete measures that are being set up. In Saxony, students assessed concrete areas of intervention in local authorities or public institutions and performed feasibility studies on the improvement of heating systems or energy-efficient potential in the refurbishment of public buildings. The topics of the trainings included, for instance, compilation of energy consumption data, first energy assessments and setting up local energy strategies. Further more, two students from University of Applied Sciences Zittau/Görlitz completed their practical training at Energy Agency for Southeast Sweden (ESS). 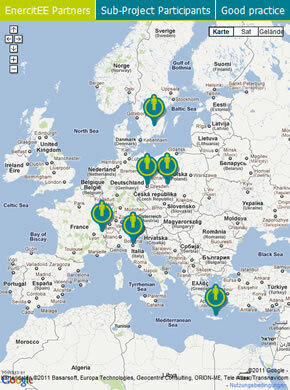 The Swedish project partner ESS has an extensive field of activities. Therefore, the two students from University of Applied Sciences Zittau/ Görlitz gained deep insights in the field of buildings, transport, living and lifestyle. For instance, they took part at energy advices for households and industries, assisted the colleagues in some projects, visited conferences and expert meetings as well as carried out their own project in a Swedish kindergarten (see Blog-article: http://enercitee.eu/blog/let%E2%80%99s-make-a-trip-to-the-world-of-energy-%E2%80%93-energy-day-in-a-swedish-kindergarten/). They spent most of their time preparing a thesis about an energy efficiency topic. One student analysed the Swedish strategies which help to improve the energy efficiency in the municipalities. The objective of this thesis was to develop a work basis for ambitious municipalities for their own energy efficient measures, to spread good-practice-examples to Germany and therefore to give inspirations as well as an orientation for those local authorities. An interregional comparison of CO2 balancing methods and increasing systems for renewable energies was made from the other student. This student analysed a CO2-balancing method created by ESS for 14 municipalities from Kalmar County, one from the City of Växjö for their own control and one method developed by Energy Agency of Saxony for independent use from their municipalities. It shows strengths and weaknesses of different municipal fields and with this helps to develop energy efficient strategies as well as it is the base to control these measures periodically. The objective of this thesis was to support municipalities in this field, show different methods for different situations and therefore push the process in local authorities. These works provide a good overview for stakeholders from both countries and PraTLA’s practical trainings gave both students an opportunity to understand the successful Swedish approach for energy efficiency. The next step: International exchange of students’ results. The exchange of experience between the regions in this process is a crucial aspect of all partners. The first results of students approaches were presented during PraTLA’s interregional meeting in February 3rd 2012 in Annecy (see Blog-article http://enercitee.eu/blog/pratla-%E2%80%93-assessing-performance-and-potential-is-key-to-success/#more-1550). Furthermore, the current results from Saxony were presented at the EnercitEE conference in Dresden in February 27th 2012 by the LEAD-Partner. The gained knowledge by the two German students, who completed their practical training in Sweden, was presented in Saxony for the first time. The participants’ first resonances were extremely positive. Some municipalities were interested in their results and asked for more detailed information. Another opportunity to exchange results and knowledge interregionally arouse at the PraTLA-conference at May 18th 2012 in the capital of Lower Silesia organized by the polish partner Karkonoska Agency for Regional Development. At this day, all seven polish student projects were presented to responsible persons from municipalities and municipal institutions, Professors from University and other participants. The students supported the municipalities and developed for instance energy efficient strategy for municipal building, energy management systems for public buildings and analysed possibilities to use combined heat and power plants. 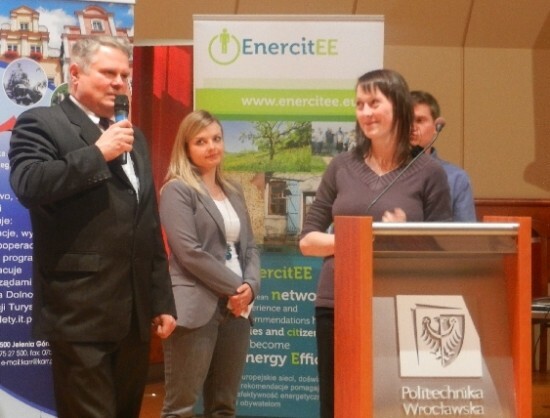 The LEAD-Partner also participated in the polish conference in Wrocław with two students. They presented results from two student projects: the transnational thesis with methods and systems from Germany and Sweden and a concept for heat supply for a municipal institution. The last mentioned thesis is currently being processed. In addition, a future conference is already planned to presented international student projects. The 3rd interregional PraTLA-meeting will be take place at the end of September 2012 at University of Applied Sciences Zittau/ Görlitz in combination with universities’ traditional “Zittau Seminar on the energy management situation in Eastern Europe”. The project partners will use the opportunity to present students’ projects and share their knowledge with participants from different nations.